Nobody enjoys getting pulled over in a routine traffic stop. It makes our hearts race and our blood pressure rise. Even if we know that our license and registration is all fine and up-to-date, it still makes us sweat. When a police officer walks up to your car with those lights flashing in your rearview mirror, it normally induces a sense of fear and dread. Like it or not, a routine traffic stop can have adverse effects upon your time, finances, and even your ability to keep driving. A moving violation adds points to your license, fines, and increased car insurance rates. If you accumulate 10 or more points in a five-year period, your driver’s license will be suspended by the Oklahoma Department of Vehicles. This can impact your ability to work and take care of your children. With time, points can disappear from your driving record. For 12 months driving without a conviction, two points are subtracted from your driving record. After three consecutive clean years with no point violations, the total drops back to zero. Can I Fight a Ticket By Myself? If you are stopped for a routine moving violation, it can be tempting to just pay the fine and get on with your life. Sometimes that might be the right answer. Yet there are times when you should fight a ticket. So, how do you know when it is best to pay it and when it is best to contest a ticket? Almost uniformly, the answer is that you should pay a ticket if it will not affect your driving record to do so, and contest it when it will. An example of a no-point traffic violation is the failure to wear a seat belt. This kind of infraction will not affect your driving record. These types of infractions are infractions that cause danger to other drivers and pedestrians. If you are cited for such a violation, you should seriously consider retaining a McAlester traffic ticket attorney. To find out if a traffic ticket lawyer can help with your traffic citation, call the Wirth Law Office – McAlester at (918-302-9656 for a free consultation. Your attorney can help you understand how the violation you are charged with will affect you and can help you beat the violation in court. 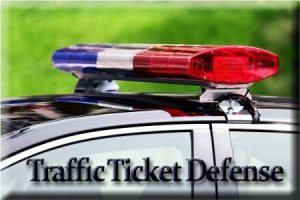 How Does a McAlester Traffic Ticket Attorney Help? It may take several court appearances to resolve a traffic violation. If you are lucky, the officer who wrote the ticket will fail to appear. If that is the case, your case may be dismissed. Otherwise, without an attorney, you will have to face the officer and judge alone. Your McAlester traffic ticket attorney knows the local police and the procedures that they use. Your attorney will be familiar with the radar gun that the local police use and will know its strengths and weaknesses. Your attorney can also help negotiate a plea deal for you. When the stakes are high, you want to appear at court with as much skill and training on your side as the prosecution has on its side. What Can a McAlester Ticket Lawyer Help me With? 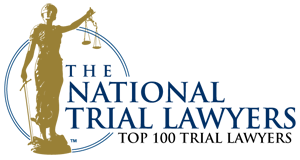 Wirth Law Office McAlester offers free consultations to drivers who are considering contesting a traffic ticket. For your free consultation with a McAlester attorney, call 918-302-9656 or send your question using the form at the top of the page.